Pack a snack or a picnic lunch, some water, good shoes for everyone and a baby carrier if your child isn’t ready for hiking. Plus, don’t forget your swimsuit and a small towel. The hike takes time, one hour to get there and another to come back. The path is narrow and steep. While it’s not dangerous, be careful with kids. Don’t get discouraged, the end of the hike up is worth it! Don’t get started too late in the day, you’ll need time to go and come back. 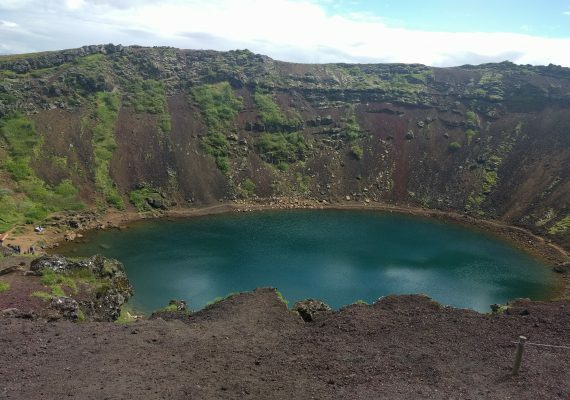 Iceland offers wonderful outdoor activities for your family vacation. Its environment can be harsh. 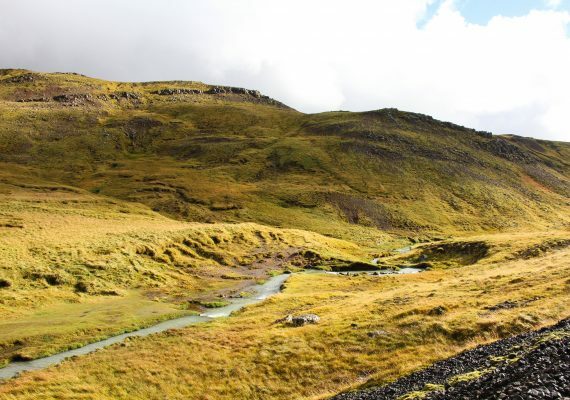 However, this Hveragerdi hike offers three-fold pleasures: a beautiful hike, a dip in the hot river next to the mountains and lastly, a great lunch to comfort you after a day of hiking. This itinerary is flexible. Either pack your gear and snacks to head out on the hike, or stop off first at Kjöt & Kùnst for snacks to bring along. The hike is a little bit challenging but well worth the dip in the hot waters in Hveragerdi. Once you've returned back down from the hike and swim, grab some local fare. Head to Kjöt & Kùnst for typical Icelandic food, prepared with the local geothermal heat. This a fun, family day that offers a challenge and reward for the parents and kids. The hike up will take about one hour (shorter if you’re more trained). The landscape and scenery are amazing, even in the rain and with a cold wind. The hike can be a little bit difficult. The path is steep, but not dangerous for children (with a lot of nice little stones to play with). We succeeded to reach the destination with our 2-year-old boy in a baby carrier. After 3 km (1.86 miles), we discovered little geysers, the smell of sulfur and steam plumes. Just after that, it was time to enjoy the warm river. Thankfully, the riverside is well equipped with a wooden path. It's difficult to undress and change into a swimsuit, but this moment will be quickly forgotten in the 40-degree Celsius (104 F) hot water, in the middle of nowhere! DIRECTIONS Drive to Hveragerdi and find the Breidamörk Road. It’s the principal road of the city. Drive to the end of Breidamörk Road and carry on along the track beside the football stadium. Then, park your car at the parking lot, gather your gear, cross the river and start your hike. This is a great restaurant with typical Icelandic food. The originality is that they cook with geothermal energy. They have nice and tasty cakes and a delicious fish plate. It’s perfect to get some energy before or after the hike. DIRECTIONS The restaurant is located on Breidamörk Road in Hveragerdi. TIP You can buy some banana bread or some cakes to go and have a snack during your day. It is closed during winter. Please refer to its website for more details.